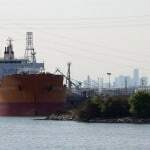 The Houston Ship Channel, one of the country’s busiest seaports, was left crippled and in a state of disarray following the spill of an estimated 168,000 gallons of crude oil. The spill occurred on March 22nd when a barge traveling through the channel slammed into the side of an oil-carrying cargo ship. 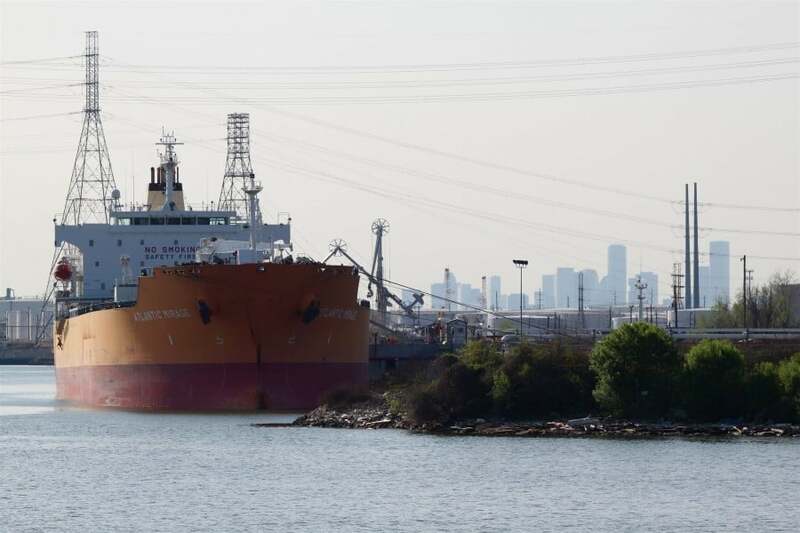 While officials have since reopened the Houston Ship Channel to select “barge traffic,” the impact of the spill can be seen both in the water and on land. When the incident initially occurred, officials were forced to close down all traffic through the Houston Ship Channel. Not only did this prevent cargo ships from making their delivery, but it also forced thousands of cruise line passengers to wait patiently until their ships could dock. “Galveston Bay is one of America’s greatest estuaries and an important home to Texas seafood providers and recreational fishermen as well as the entry point to the Port of Houston. 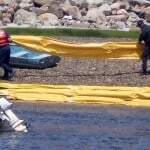 While the area has long dealt with many pollution concerns, this spill is significant,” Doug Rader researcher with the nonprofit organization Environmental Defense Fund. Following the spill, cleanup crews immediately began deploying booms in an effort to contain the oil. While this kept the bulk of the spill isolated within the channel, there were reports of oil washing ashore on nearby beaches. High winds and turbulent waters are believed to have played a role in the oil’s movement, making it difficult for cleanup crews to contain. While cleanup is still in the early phase, the impact of the massive oil spill is being seen and felt throughout the Houston area. Officials have reported dozens of oil-soaked birds and wildlife, which is particularly troubling considering this is mating season for Houston’s bird populations. Oil-soaked fish have also washed ashore. There’s some belief that closure of the Houston Ship Channel will result in higher gas prices — not only in Texas, but throughout the rest of the country as well. Many oil-carrying tankers are left waiting at the base of the channel until officials have cleaned up the spill and given them the green light for reentry. “With this kind of oil, birds are mainly affected, it is the kind of oil that sticks. If birds land on it or walk through it, it gets stuck on them, but the oil doesn’t sink very much so it won’t affect the fish below it too much. The most immediate effects are felt by the birds, but possibly the marine mammals as well since they have to come up to the surface to breathe,” said Anna Armitage, professor at Texas A&M Galveston. One of the most common types of chemical spills in the workplace is oil. It’s used in everything from forklifts and trucks to the industrial machines and lifting equipment. Although it’s considered low toxicity, oil spills pose a direct threat to the safety of employees on duty. Companies must take a proactive approach towards cleaning up any spilled oil in a timely manner to ensure the safety of everyone on the premises. Increases the chance of slip-and-fall accidents. 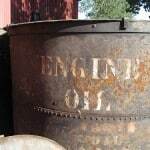 Oil is highly flammable and may catch fire from a spark or source of heat. Can lead to the production of gases. While the example described above is a larger oil spill, companies should still follow certain precautionary measures when cleaning up oil spills. The golden rule when cleaning up an oil spill — or any chemical for that matter — is to protect yourself. Use extreme caution when walking around the source of the spill, as it can be incredibly slippery. All it takes is a couple drops of oil on a flat cement or asphalt surface to send a worker slipping and falling to the floor. Wearing a pair of non-slip shoes can help cleanup crews and employees can better traction while working around oil spills. Using absorbent materials, such as pads, mats and socks, is a highly effective way to clean up oil spills in the workplace. Assuming the spill is minor and contained to a particular area within your workplace, you can typically soak it up with the right absorbent materials. Carefully laying down some absorbent pads into the center of the spill will gradually clean the area, at which point you can throw the oil-soaked materials away. Of course, it’s important to note that oil-soaked rags and materials must be properly disposed in a separate container. Tossing them in your company’s normal trash receptacle may result in them polluting the landfill. You can read more about the correct way to dispose of oil-soaked rags in our previous blog post located here. [sc:date] Minor oil spills are a common occurrence in the workplace. If you work around forklifts or heavy machinery, chances are you’ll experience an oil spill at some point. 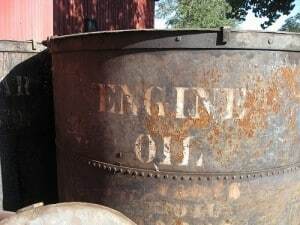 Small drops of oil can be easily cleaned with a basic rag. A worker can wipe it up with an old towel and get back to doing his or her profession. But what happens to the rag once it’s saturated with oil. The volatile organize compounds (VOC) it contains is a serious hazard that may trigger a fire. 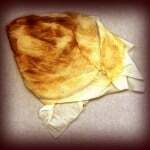 To learn more about the dangers of oil-soaked rags and how to properly dispose of them, keep reading. Unfortunately, you can’t toss oil-soaked rags into a normal trash receptacle. 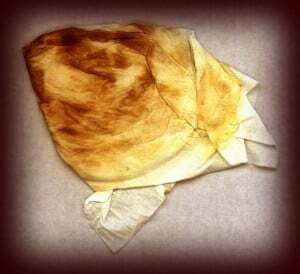 While laws regarding the disposal of oil-soaked rags vary from state to state, throwing them away in the trash may lead to spontaneous combustion. In case you’ve never heard of this before, let me explain: spontaneous combustion is the combustion (flame) of an object or item without an external heat source. I know what you’re thinking — how in the world can a rag instantly combust without exposure to a flame or heat source? The oil covering the rag oxides over time, which in turn produces heat. When the oil-soaked rag is crumbled into a ball and tossed into the trash, this type of environment insulates it to encourage even more heat to produce. As this heat builds up, it may eventually reach temperatures high enough to ignite the oil and start a fire. Some people may brush this possibility off, but spontaneous combustion happens more frequently than you may think. Should I Hang My Oil-Soaked Rags Out To Dry? Some people hang their oil-soaked rags out to dry before disposing of them. Allowing them to dry in the air helps to remove some of the VOC-rich oil lingering in the fabric. Before you go drying your oil-soaked rags, though, you should first check with your state’s laws. Each state has their own set of laws governing the disposal of oil and oil-soaked fabric. Massachusetts, for instance, suggests drying oil-soaked rags outside (weighted down) before contacting a professional disposal company. Alternatively, you can hire a professional laundry company to pick and clean the oil-soaked rags professionally. If you decide to take this route, make sure the company is informed of the rag’s oil content; otherwise, it could end up damaging other linens and fabrics.